If you plan to live in your home for a number of years, the benefits of purchasing your own water heater can far outweigh the benefits of renting one. For example, water heaters can cost less than $2,000. Over the course of its lifetime, a rented water heater can cost you twice that amount! 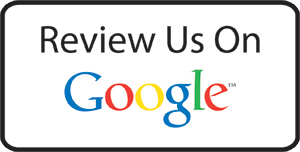 Why not call one of our certified technicians today to learn more? 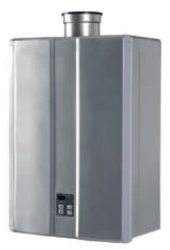 The demand of hot water use in homes is increasing and old hot water tanks cannot keep up or offer the flexibility that Rinnai tankless water heating system offers. Enjoy up to 7.5 gallons of consistently hot water per minute – endlessly. The individual temperature control allows you to safely control the temperature in different parts of the house, great for families with kids or elderly. This tankless, efficient solution will save space in your home while keeping your water temperature it safe and comfortable. Backed by a 10-year limited warranty on the heat exchanger and a 5-year warranty on the rest of the unit, your peace of mind will be as consistent as the flow of your hot water. Rinnai’s unique condensing design incorporates two innovative heat exchangers to achieve optimum heating value from every cubic foot of natural gas or propane. The stainless steel system recaptures residual heat from flue gasses to pre-heat incoming ground water, which then circulates to the primary copper heat exchanger. Delivering up to 97% thermal efficiency, Rinnai’s tankless condensing units are ideal for residential and commercial applications. They can be reached at 613-739-4515.